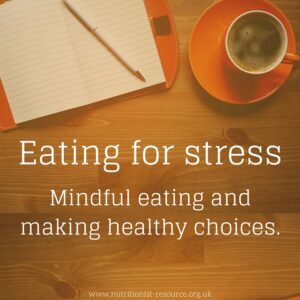 Mindful eating and making healthy choices. We turn to food for a number of reasons, be it hunger, comfort, stress, boredom or celebration and food plays an important role in our social lives. But it is important to recognise when these reactions may be affecting our health and our weight. 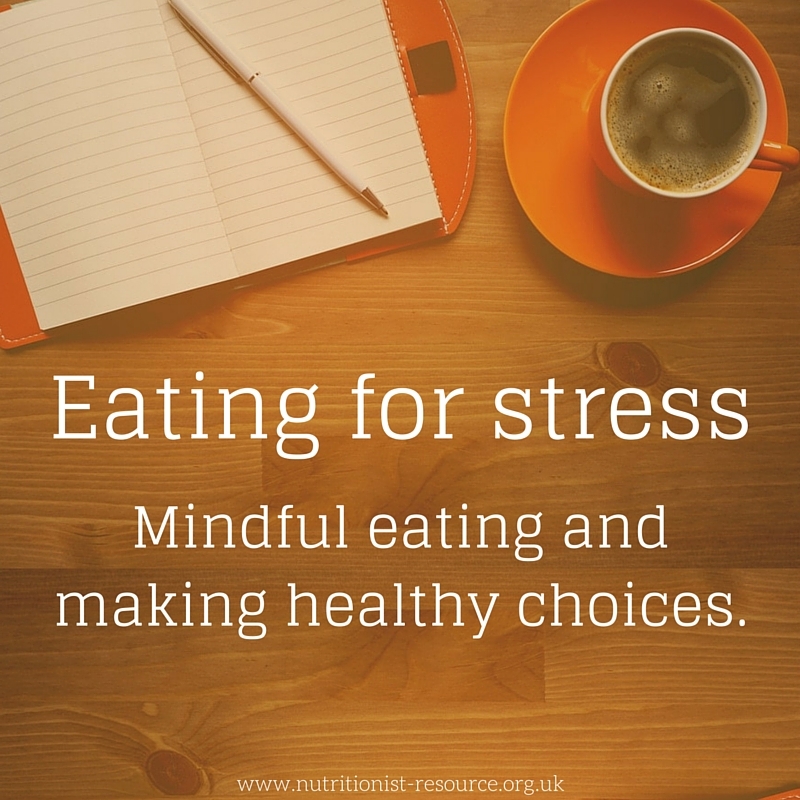 People react differently to different situations and when it comes to stress, food is often the first port of call. Many of us will turn to comforting food to make us feel better, while others will become so focused on the stress that they lose their appetites. Food is here to enjoy and to fuel our bodies, but stress is unfortunately a regular visitor in life and turning to food may not always be the answer. How can we be more mindful of what we are eating? What can we do to manage stressful situations and know what to eat when times get difficult? Stress can steer many of us off track, which can then have a knock-on effect on our confidence and motivation levels. It is important to keep to your regular routine, or even start fresh. Schedule and plan your meals, prepare your lunches in advance and make a list every time you go shopping. When stressed, it can be easy to turn to quick, comforting food. While it may save you time, these foods can often make you feel worse. Instead of focusing on the stressful situation, take time to switch off at some point in the day. Remember to have a nutritious breakfast, drink plenty of water and plan when your next meal will be. If you are prone to forgetting to eat when stressed, set a reminder on your phone. Get organised with the NHS Change4Life Smart Recipes app. Start your week by preparing your meals on Sunday. Wake up to a good breakfast and get out a pen and paper. Find inspiration by scrolling through Pinterest, searching for ideas or flicking through a new cookbook. Write down all the ingredients you need for your weekly dinners and your work lunches. Go to the supermarket and pick out everything you need. Once you are back home, put some music on and get cooking! On our foodie wishlist: Fearne Cotton’s “Cook Happy, Cook Healthy”. 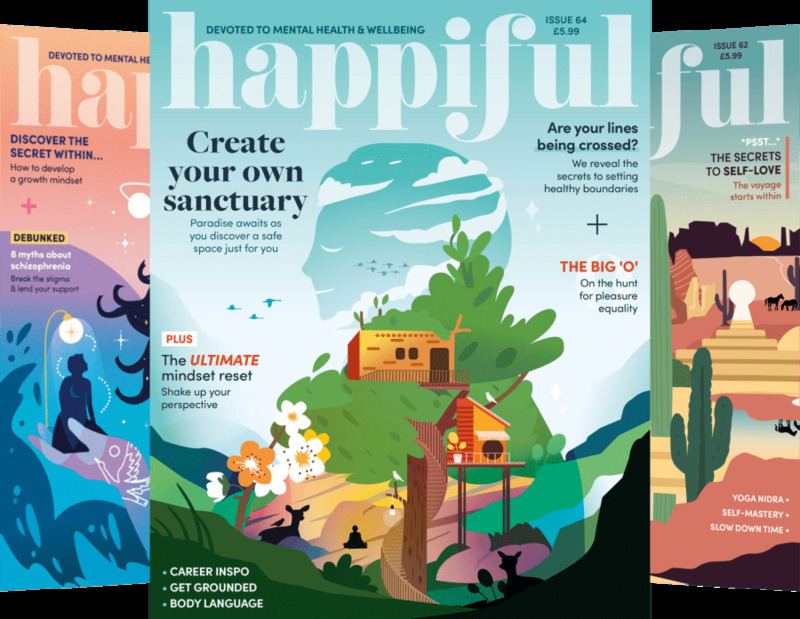 Many of us will be guilty of tucking into a packet of chocolate biscuits alongside a cup of tea in the evening – especially when we’re feeling run down or stressed. If you often turn to food for comfort, why not try out some new recipes? There are so many healthy alternatives to what we know as ‘treat foods’, so bake something different and you might find a new favourite! We love Madeleine Shaw’s Apricot and Date Flapjacks! There are times when we all need a helping hand. While we can often get this from friends and family, sometimes it is beneficial to speak to someone who is trained to offer guidance – like a nutritionist. Here at Nutritionist Resource, we believe everyone deserves happiness and support. If you are ready to contact a nutritionist, you can use our advanced search tool to find a professional near you. If you are not ready yet, that’s OK too. Know that you are not alone in the journey and support is available.